On the third day of the 34th Kagyu Mönlam, His Holiness the Karmapa joined the Mönlam Members' lunch, which is set out every day at the Mahayana Hotel for the duration of the event. 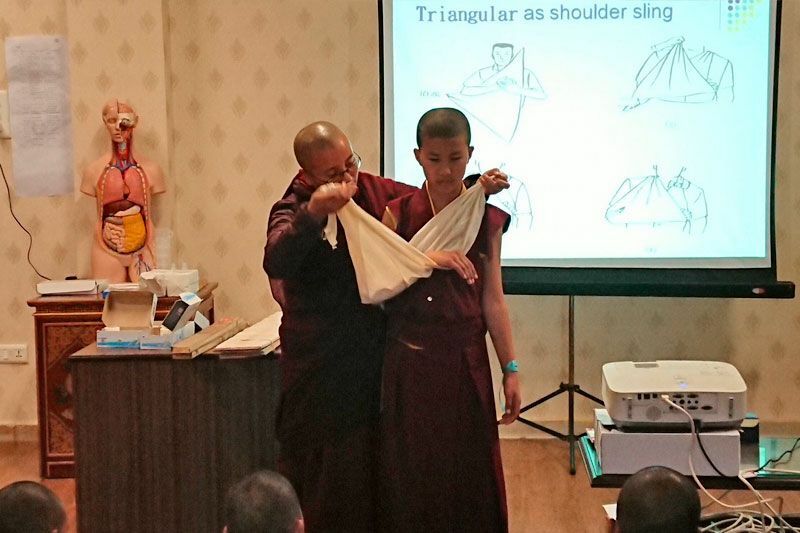 Long before the arrival of the Karmapa, the Members had already been queuing patiently in a long line that stretched from the lobby all the way across the forecourt of the hotel to the street outside, waiting for their turn in the dining room. 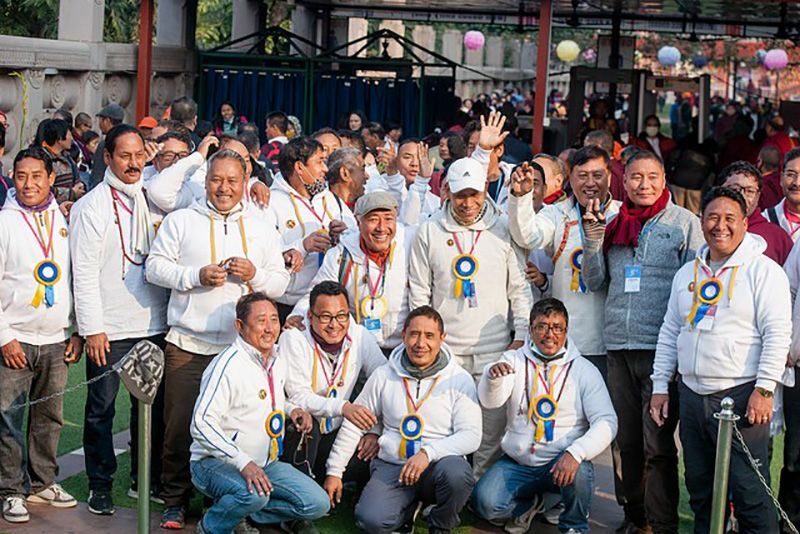 The Members were, of course, thrown into a flurry of excitement, hurriedly reaching for katas, as the news of the Karmapa's impending visit spread. As the wait went on, they spontaneously broke into chanting Karmapa Khyenno. 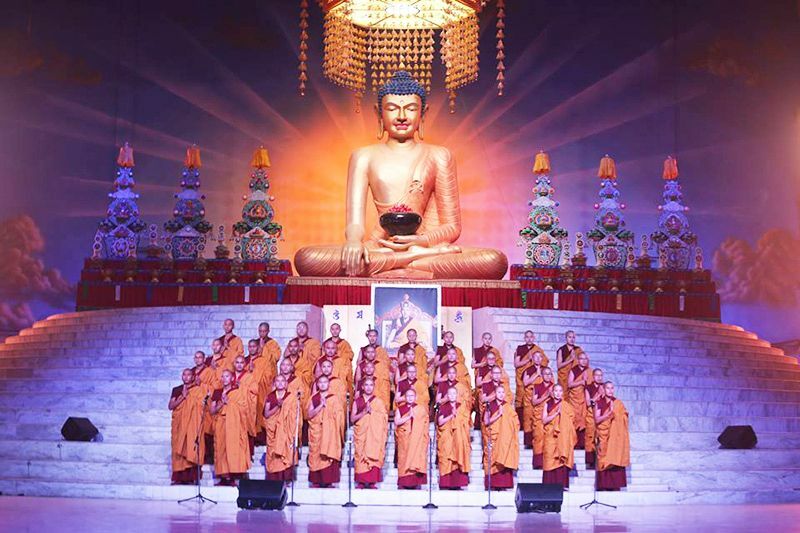 And not long after, they were indeed heard, as the queue moved aside and the Karmapa's car rolled in. 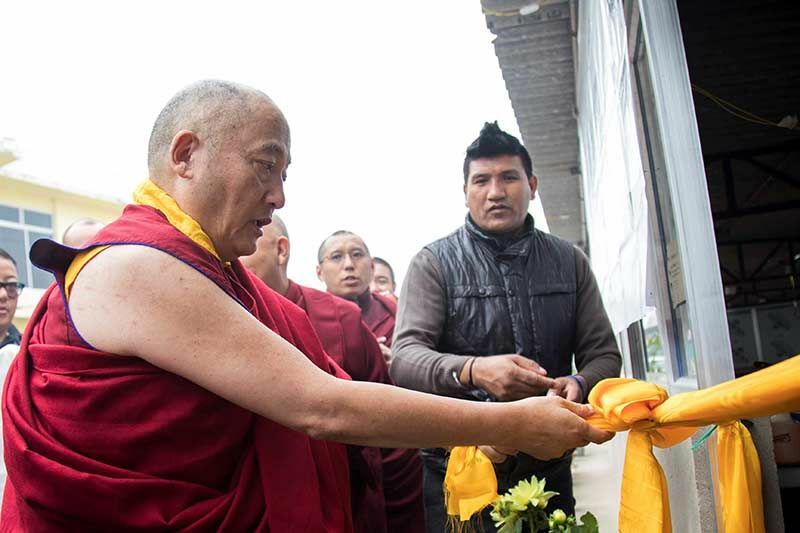 His Holiness went directly to the dining room where a table had been prepared for him, and the early-bird Members were waiting with more chants of Karmapa Khyenno. His Holiness briefly went up to check the buffet, then resumed his seat as a laden tray made its way to him. 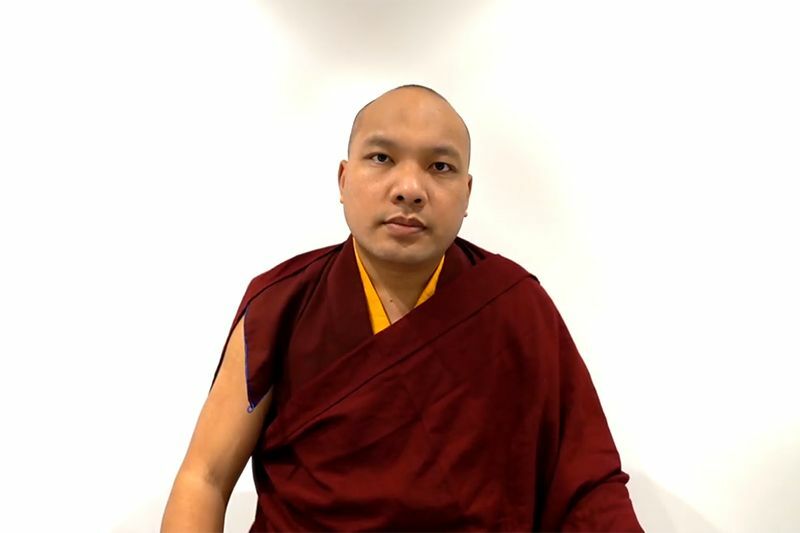 As the Karmapa took out his chopsticks and mindfully sampled the meal, Members were torn between their need to get their own food - especially those trying to keep to the strictures of their Sojong vows - and their admiration of the Karmapa sitting in their midst. For many, hunger won out, and as piled plates went past and new entrants gained the dining room, excited giggles broke out as they realised whose presence they had walked in to. 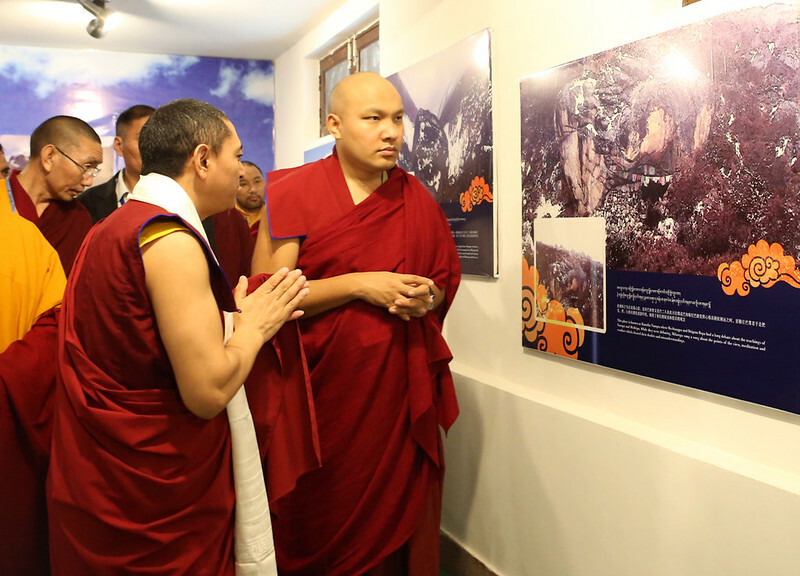 The Karmapa didn't stay long, though, and quickly moved on to visit the Milarepa exhibition, also being held at the Mahayana Hotel until the end of the Mönlam.